awesomeness my friend is born in the year of the mouse. this project will make an awesome gift! i really love your dolls!!! Thank you so much for sharing all your beautiful patterns. You are very talented and very generous. Thanks again. 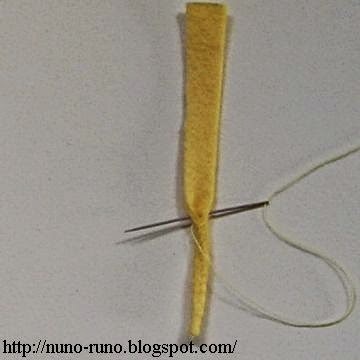 Looks as if you are starting a pincushion collection. I am looking forward to the next one. I just found your Blog today. I am making your dachshund pattern. Thank you so much for your wonderful patterns with your lovely, clear instructions! I love looking at your dolls--they are museum-quality. Ilove ALL of your creations. You are very talented, and also very generous. Karma back to you!! This is great! I love pincushions. 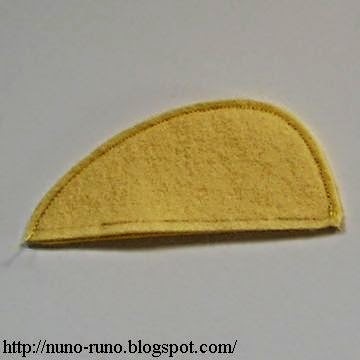 I will be making this one soon! PLEASE make some dolls without useing a sewing machine i am only 9 and want to be able to make a dolls too!you guys are awsome though bye. thank you so so much for your generosity,you are a very clear thinker when explaining how to's. I sincerely wish to you great success and a long happy life. I am so glad I followed another link and found your site again, and now your blog. I admire your work, and as a fellow doll maker, I also admire your generosity of spirit, and immense creativity. the mice are darling. I am having a baby this year, and I think I will try and make a mobile of them. 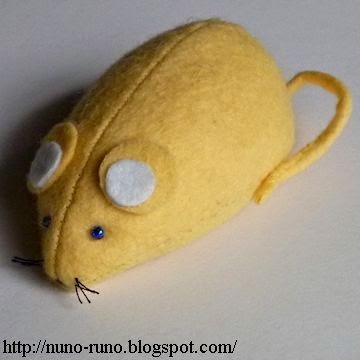 This mouse pincushion is beautiful and perfect for one of my gifts and also for me, Lol! 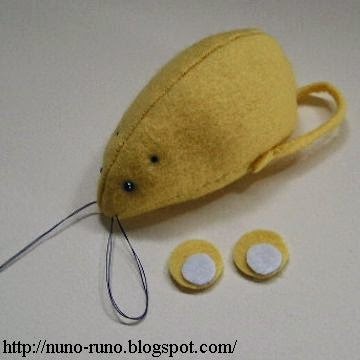 Hi, I just made a mouse for my cat, and although it is my first try and I made it by hand and it did not turn out very pretty, she is really enjoying it alerady:) Thank you!!! 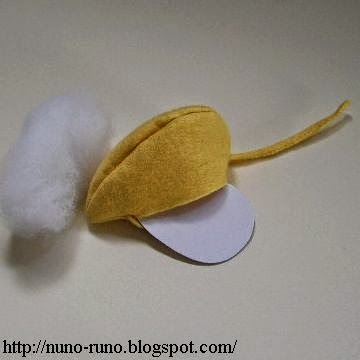 I made the mouse and set it on my work table. Sometime during the night my cat carried it off. She loves playing with it. 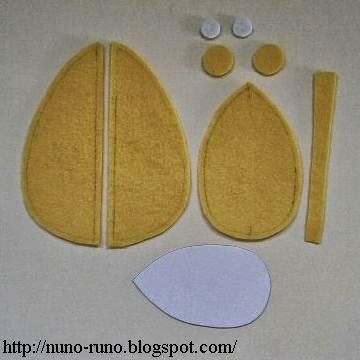 I'm gonna use this pattern to make some mouse toys for my kittens. I love ur blog! that's awesome!! 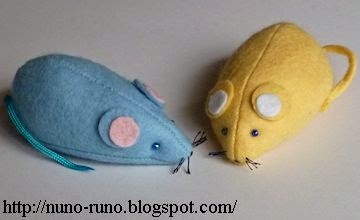 I make this mouse and others that u upload. :) I'll follow you!! Thank u 4 share it! !